rom pharaohs and pyramids to modern day structures and the democratic plight, Egyptians have been the epitome of ancient and modern day history for centuries. In the past two years Egyptians took to the streets calling for democracy and freedom, successfully bringing down a thirty year old dictatorship under then-president Hosni Mubarak. Egyptians made history once again when men and women, young and old, rich and poor, headed to their ballot boxes to cast their vote for the next president and later for a newly written constitution. The revolution continues, but perhaps the momentum has faded. But revolutions and counter-revolutions are not the only things that occupying the minds of Egyptians. Many citizens of this ancient land are interested in creating their own personal legacies. 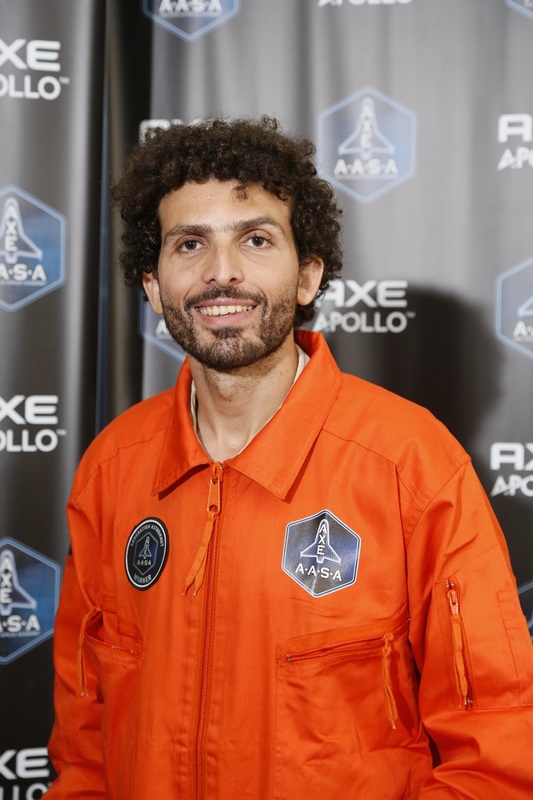 One of those people is Omar Samra, an ambitious adventure seeker and Chief Executive Officer of Wild Guanabana, a company that specializes in organizing “unique, creative and ethical travel experiences around the world.” Today, Samra has secured a spot in the Axe Apollo Space Academy competition that will give him the title of the first Egyptian in Space in 2014. Omar Samra was born in Wimbledon, England and raised in Cairo. He attended the American University of Cairo where he graduated with a Bachelors in Economics and found himself moving to London to pursue a career in investment banking. He completed his MBA in the London School of Business and was on his way towards climbing the career ladder by securing a lofty position within a bank and a ensuring a very comfortable life. But while weaving his way through the corporate banking world and balancing his mountaineering career, Samra didn’t feel as fulfilled in the office as when he was climbing mountains and exploring new horizons. It was on his climb of the Casrtensz Pyramid in Indonesia in 2009 that he realized that he could no longer lead two lifestyles. 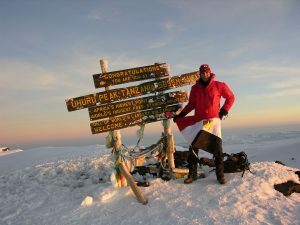 And so as many free spirits and adventure seekers, he quit his job and headed into the great unknown to eventually become the first Egyptian to summit Everest among the Seven Summits and is now planning his trip 106KM above sea level to space while pondering his ski in the North and South poles this coming year to complete the Adventure Grand Slam. But getting to the top wasn’t always easy. 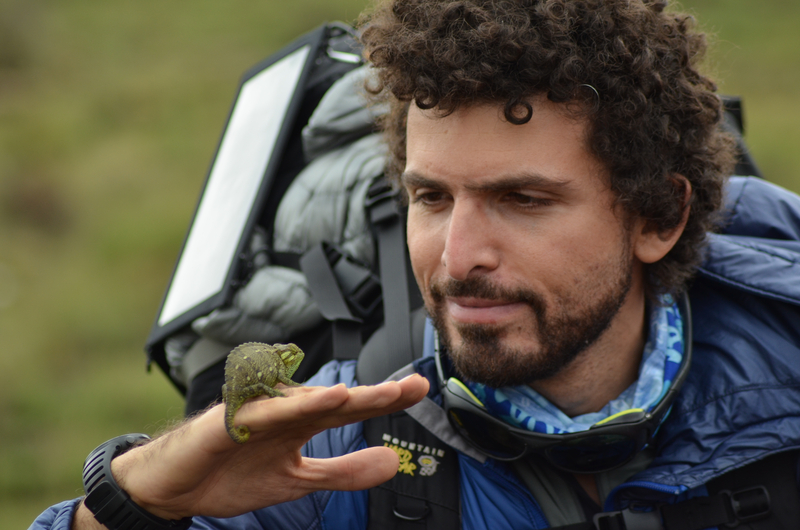 As a young boy, Samra was asthmatic and although doctors told him it would eventually subside he was not the kid he would bet on would end up climbing the highest summits in the world. When he was approached at the age of sixteen to climb a mountain, convincing himself and his parents that this was the right thing to do was harder than the actual climb. And sure enough, standing at the summit, he knew he was hooked and began pondering the many mountains and the means of preparation needed in order for him to fulfill this need he had. As someone who has achieved so many incredible feats, Samra’s fears in life might be surprising. 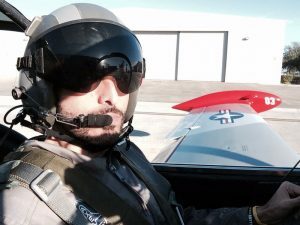 Samra admits that he does experience fear when he’s climbing a mountain on his way to the summit but to him it’s something that he has learnt to manage with time and experience. Being a cautious person, Samra is aware of the risks that present themselves when undertaking such activities. This idea is that fear is not something that should stop you rather it’s something that should propel you forward and potentially become your fuel to reach the top. Samra recalls a time seven weeks into his Everest expedition when he had to face one of his fears head on. His team had arrived on the scene to find a fellow climber had just passed away. 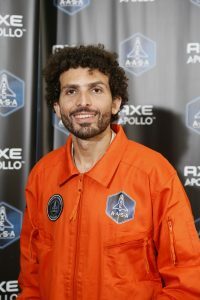 Omar Samra in his NASA suit. Staring his fear of death in the face, he overcame it by remembering why he was on this expedition in the first place by going back to a time when a young asthmatic boy was told that he wouldn’t be able to do the things that many of his friends could. Until this day, this young boy continues to propel him to new heights, achieve great things and overcome his fears. 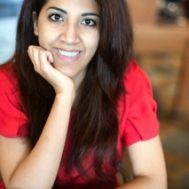 After having made headlines for summiting the highest points on earth and now again for winning a coveted spot to becoming the first Egyptian in space, Samra has become a role model and an inspiration to many people, particularly to Egyptians who now truly know the power they have both as individuals and as a society. But raising the Egyptian flag on the highest peaks on earth and in a spacecraft calls not only for a great deal of courage but also inspiration and role models. Unlike many of us, Samra does not boast a list of international and global figures as role models, “I draw my inspiration from my mom and my late wife, Marwa” he says. His late wife, Marwa, who passed away six months ago, was also a source of great inspiration for Samra. She was his role model and his biggest supporter. “She was a very good person and she had a lot of strength of character, She inspired a lot of people around her whenever she came into someone’s life, she made it better,” he says. 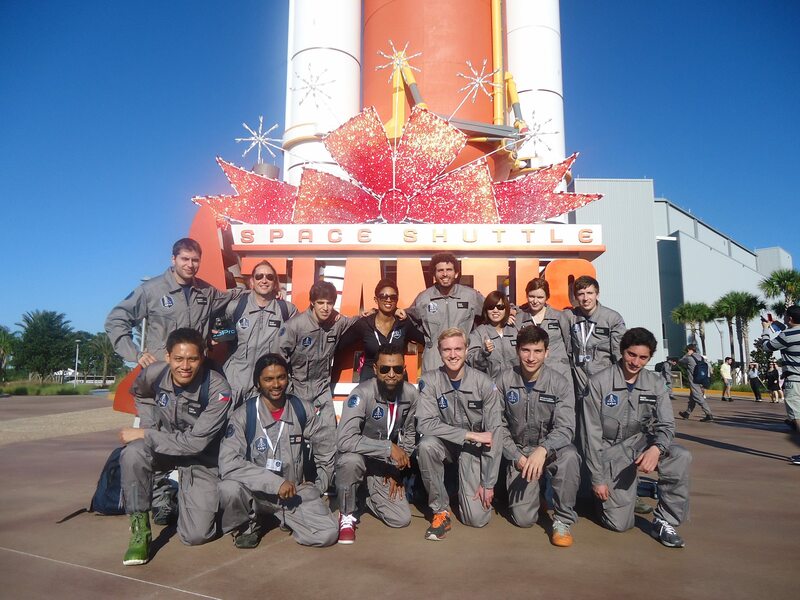 Marwa was with him when he began the process of applying to be a part of the space program. She believed in him and his endeavors more than anyone else. “I drew a lot of my strength from her and a lot of inspiration, she’s definitely a role model to me,” he says. 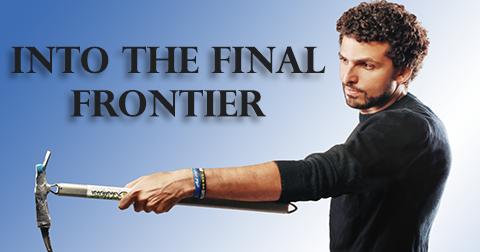 To many people, Omar is an inspiration as someone, who has led a life of great achievements. “I believe in the human spirit and that’s what everything I do revolves around. When I see people who are the biggest manifestations and celebrations of the victory of the human spirit, I feel inspired,” Samra says. Adventure traveling and pushing boundaries of what man thinks is possible have been what his life is all about when he turned away from the predictable towards the unknown. “If you keep doing the same thing everyday you will never learn anything new, you might get better at doing one thing but you won’t grow,” he says and this is the mantra that inspired his company, Wild Guanabana for adventure traveling. His career revolves around organizing trips that will “Create opportunities for people to embark on these adventures and learn new things about themselves and will affect them in a positive way,” he says. Now, his focus is to inspire people to live full lives and take risks to achieve their potential no matter what the circumstances. “I’m trying to set my own example to others on how in the hardest times you can still keep moving forward. You’re in pain but you can keep going, if you can’t take leaps then you can still take small steps,” he says. Omar Samra on top of Kilimanjaro. As a future astronaut, Samra discusses the future of space exploration and space travel as something that resembles a scene from The Jetsons. When NASA shut down the shuttle program in 2011 many viewed it as the end of an era. In retrospect, this event allowed for private companies to begin the bid for commercial purposes. NASA could now focus on far space, which is anything from Mars and beyond and the potential of near space would be left for private companies to explore. He predicts that in the next ten to fifteen years hundreds of people will be flying to space. “It’s a very exciting time for space exploration and as things change flying outside the earth’s atmosphere will become more common place and it begin to replace traditional long haul flights and there will be many applications that will manifest in many different fields,” he says. Samra is now in a position where he can have an impact on a great deal of people in terms of their lifestyle and aspirations. With great achievements come great responsibilities towards those who now perceive him as their role model or hope to walk in your footsteps one day. Any dream no matter how big is achievable through hard work and perseverance. It’s no easy task and, as Samra refers to it, “Everyone has their own Everest to climb,” but it’s feasible. “If you’re committed to the journey rather than the destination you have what it takes. It’s not about your biggest goal being to reach the top of Everest, if you can’t understand that the real value lies in everything that leads up to you reaching the top and that summiting is just the cherry on top then you have to change the way you see things,” he says. The lesson that he wishes to bestow upon the world is: “There are no shortcuts to the top or to achieving your dreams and so the only way to go through this really long and difficult journey is to be able to draw pleasure from every step along the way,” advises Samra. Looking back on the past, many people may have regrets and may hope for a chance to react to a situation differently. “When people ask me if I have any regrets, as cliché as it sounds I say I have none and the reason for that is because I’ve always allowed my heart to make the biggest decisions in my life and not my mind,” he says. Samra is committed to listening to his heart and inner voice, which have never failed him throughout his life, “If there’s one incessant thing that just keeps coming back to you once, twice, a million times and you keep finding yourself thinking about it, there’s a reason for that, it’s coming from a place of truth that’s trying to tell you that this is something important that you need to be aware of,” he says. Good luck astronaut and God speed. Omar Samra starting his flight drills. 1) Your daughter has just come to you and expressed her need to follow in her father’s footsteps, what would be Omar Samra, the father’s, reaction? I would be flattered if my daughter sees me as a role model and wants to follow in my footsteps but more importantly I would want to make sure that she’s doing that for all the right reasons. All of us, at some point want to follow in our parent’s footsteps, we all pass through that phase no matter how short it is. I need to basically be able to test whether she wants to do this because it’s her calling or because she just wants to copy me and that’s it. Once that’s behind us I will support her regardless of how difficult or dangerous it is. Obviously I will be worried about her, especially because I know exactly what it entails. So obviously I’m going to try and help her be safe and do well. It’s not going to be easy for me to do, if anything it’ll be harder for me because I know what’s in it but it’s my problem to deal with, it’s not hers to convince me. There’s no reasons for kids to pay the price for their own parent’s shortcomings and inability to see things clearly, that’s not right. 2) As a mountaineer and a future astronaut, how accessible are all these activities from Cairo, Egypt? If you wanted to do that you would fall into the same problems I had which is being able to finance these expeditions. In some cases, starting from scratch like me will have a harder time doing it because they have no proven track record, people don’t know who they are but they will have the advantage of being second to do it because a lot of the challenges of bringing something in first is that no one really understands why you’re doing it. Once you do it, it breaks certain barriers and boundaries in people’s heads and it becomes more acceptable afterwards. I would say that the youth in general in Egypt and people in general all over the world want to get more out of life. People want to site-do, not site-see, They are starting to get less concerned with amassing wealth and want to amass experiences, they want to collect experiences, things that they can share with others that they can talk about that they feel add to who they are and helps them try and figure out what their identity is and how they feel about themselves. That trend is definitely happening and that’s why adventure traveling is the fastest growing segment in the travel sphere globally. Even though our region caught up slower, it is growing at a reasonable rate. When I started the business in 2009, it was a very different place than where we are now despite the fact that the region has gone through traumatic experiences, the industry is growing. Our business caters 1/3 to Egypt and covers the entire region as well as Arabs and expats. What we’re trying to do is to cater to 85% for beginners, to be the kind of the passageway for people to start to get accustomed to this kind of lifestyle and travel in this kind of way. 15% caters to people who have experience and want to take things to the next level. Egypt has a lot of natural resources that are great for adventure traveling but they are largely untapped. What’s popular in Egypt is dune buggies, that’s some form of adventure but my definition of adventure is that it must be man powered, you have to be kayaking or pedaling or hiking, something that doesn’t require machinery. That sort of adventure style is less prevalent in Egypt but we’re trying to change that by creating trips that are more adventure in nature. The people in the region want to travel more and go on more adventures, the eco system is starting to build so there’s more people and businesses that are expressing their interest in this type of lifestyle. The health element is growing greatly in Egypt, there’s running groups, cycling groups and triathlon groups and it’s becoming a huge community. As well as in the UAE and KSA. The more people become more healthy, the more differently they will see the world in terms of how adaptable and how open minded and how big they dreams become. This will reflect positively, not only on our business, but generally when people are healthy and positive and they’ve pushed themselves through any situation, they understand more about their abilities they believe in themselves more and that translates into any aspect of their life. They become more ambitious in everything. I’m trying to affect change in a certain way, in Egypt, there’s a lot of people that are concerned with the political situation, how much resources we have, food, shelter, instability, education, all of this is really important and there’s lots of experts that are trying to figure out all the solutions to these problems. Personally, I believe that there’s a greater issue out there, which is something intangible, people’s own self esteem, their ability to dream their ability to believe in themselves and this is really what I’m trying to work on. Because I believe that if you don’t have this then you can’t change anything else. If you don’t wake up every morning with the belief that you can change the surrounding environment around you and the belief that you can’t change yourself and be a positive influence to your family and community then you can’t do any of the other things. We’ve seen that one person can change everything, Mandela, if we have not one but a million! That’s what will change the world and change the region, it’s not politics it’s not economic deals and all the development stuff is a precursor to the essence of everything, which is the human spirit. There’s not enough attention being put on how we can cultivate the human spirit, how can we grow it. If that’s there you don’t have to calculate and measure anything else. If you want 1000 people that are insanely motivated to do good then you will change, those 1000 will change millions. That’s where I feel that I can help by using my experiences and myself as a way to inspire others.